If you are looking for the best Premium product review plugin for WordPress - you're at the right place. In this collection, we have carefully handpicked the best WordPress product review plugins that lets you add detailed and SEO friendly product review on your website. 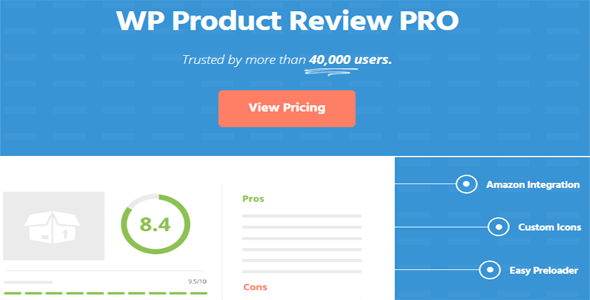 Hey Buddy!, I found this information for you: "WP Product Review Pro". Here is the website link: https://wpallclub.com/wp-plugins/wp-product-review-pro/. Thank you.